Matches begin at 5:00 p.m.
in B, A, C order!!! Cross Country meet Monday night. 8th grade girls took 3rd place! 7th grade girls took 4th place! 8th grade boys took 1st place! 7th grade boys took 1st place! See the Volleyball Page for details! DMS Cross Country Meet Sept. 8 CANCELLED due to rainy weather!!! Want a chance to practice your skills before tryouts? More information on the volleyball webpage. *We encourage each athlete to try all sports offered in the middle school program. *Sports offered are: Cross Country Running, Football, Volleyball, Basketball, Tennis, and Track. *PARTICIPATION POLICIES: If enrolling in athletics, student athletes must participate in at least one sport each year. Failure to participate in at least one sport during the 7th grade will result in a semester grade of 50% and removal from Athletics during the 8th grade year. Failure to participate in at least one sport during 8th grade will lower the semester grade to a 50% mark. If the student athletes remove themselves from athletics, they will not be allowed to return the rest of their 7th grade year and their entire 8th grade year. Online Athletic Forms For 2018-2019 Are Ready! Curious about the DMS Athletic Program? Athletics is our advanced work-out course for those students wanting to participate in a sport and represent their school. Students in athletics MUST complete at least one of the following sports: football (males), volleyball (females), cross-country, basketball, track & field or tennis. When a student is in-season for their sport, they will have either a before or after school practice. Football, cross-country, 7th grade basketball and tennis practice before school, while 8th grade basketball and track & field practice after school. Football and volleyball run from the first day of school until the first week of November. Cross-country runs from the second day of school until the end of October. Basketball starts the beginning of November and runs until February. Track & Field and Tennis begin in February and run until April. Games or meets for the various sports are once a week (the day of the week depends on the grade level and sport). Before school practices start at 6:45am (locker room opens at 6:30am). There is a bus that picks up anyone living near Finch Elementary at 6:05am. A bus is provided to take athletes to games/meets but parents must usually pick up their child from the game/meet, unless the game/meet is outside of McKinney. When a student is NOT in-season, then they participate in off-season. Off-season athletes do not have any before or after school practices. They only work out during the athletic period on overall athleticism (agility, strength, endurance, technique, form, etc). 7th graders practice during 1st period, and 8th graders practice during 7th period. Please remember that athletics is a work out class! Students must enjoy being physically active, as they will run the mile, lift weights, and perform many other athletic movements. 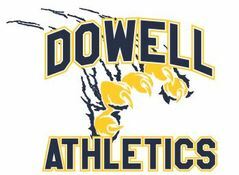 Do you have questions or comments regarding our athletic program? Please fill out the form below and a coach will be in touch with you! For sports-specific pages, click here.